I recently meditated on Psalm 18 and was shown how God’s victory completely overwhelms our foes. Through much prayer and help from the Lord, I recently overcame a long-standing besetting sin. A few days ago I meditated on Psalm 18 and was completely shocked and overjoyed to find how completely God helps us to overcome our enemies. Then David introduces the enemy. Later in the Psalm David says that his enemy is too strong for him. I take that to mean, left to himself, he would be continually defeated, just as I was trying to fight my sin on my own. But when David prayed, God responded to David because He loved him, just as He now loves me. The Lord, Almighty God, was angry! Not angry at David, but at David’s enemy! God acted out of love for His servant, as the ultimate protector. And the Lord is David’s rescuer as well. And so, the Lord delivered David. And now I see God as a warrior God, and how totally David is able to vanquish his enemy when god is fighting for him. I have always known that Jesus gives victory over sin, but until I read this I always had a slight fear that the sin could rise up again and put me right back where I started. Now I understand the extent of the power I am given over my old sins. And Hallelujah, by the power given me by the Spirit of God, I am FREE! I was born in 1953. I was born again in 1980. I am now 65 years old and have been a believer for 38 years, for nearly two-thirds of my life. I have been a steady reader of the Bible ever since I first believed and have read the Gospel of John literally dozens of times. A few days ago I began reading John again and in the very first chapter, I had a most remarkable experience. As I read John 1:43 it was as if the text changed as I read it and the end of the verse actually read, “John, follow me”. Now, I have read this passage many times as well as the ones about taking up one’s cross and following Jesus, but this was a truly unique experience. As soon as I read it, I knew that God was speaking to me, and I knew that this was not an invitation or a suggestion, but a command. I don’t know what this all means, and I don’t know where it will lead. But I do know one thing. It is time to stop doing things that I think will make God happy and start doing what He said. Follow. These are a few of the verses or passages I have read recently that convince me that I need to get back to basics. Have you ever found yourself doing so much for The Lord that your relationship with Him suffers? Like, your time is so full of godly activities that you miss God in all the hustle and bustle? That is where I am finding myself now. I should have seen the warnings, like picking up new activities without really being sure that the activities are really God ordained, or did I just decide to do them because I thought God would be impressed with my faithfulness. I need to stop listening to the flesh, stop doing things for God that He may be impressed with my faithfulness, and begin again to make myself available to God, so that He can lead me in what He wants me doing. Am I the only one? Do others feel this as well? If you died tonight, are you sure you would go to heaven? Eternity is too long to be wrong! lasted nearly 16 years. On the way home to our home in San Jose, we decided to change her name to Tiffany. goodbye to our loving little companion, February 25, 2016. And today, we drove down to Royal Oaks, to the Loving Pet Cemetary of Monterey Bay and had her cremated. asked Alice to keep an eye on her while I was at work. But two hours later I got a call at work, “John, Tiffany can’t walk!”, Alice blurted out between sobs. nothing that he could do, and recommended that we put her out of her pain. with a little walnut box that contains all that remains of our sweet, sweet, loving Tiffany. Tiffany always loved to ride in the car, so today, she rode home in her mommies lap, next to her heart, for one last time. barely more than a day. love them, but somehow haven’t gotten around to it? a car crash, a heart attack, anything, can take that opportunity away forever. off. Can you really afford to put it off any longer? We all like to think that we have it all under control, that we can make it through life on our own, without help from others. But can we really? Let me tell you a story about two skydivers. Both are in a plane flying at 12,000 feet. One is wearing a parachute, and is ready for his jump. The other has left his parachute hanging on its hook in the plane, confident that he can make the jump on his own. The diver with the parachute jumps first, feeling the absolute freedom of free-fall, tumbling in somersaults and soaring through the air like the worlds fastest bird. And then, at just the right moment, he pulls the rip-cord, his parachute deploys, and he floats safely to the ground. And now it is the others jumper’s turn. He watched the first person’s jump and noted how much fun he seemed to be having. And with a smile on his face as he jumped from the plane, he vowed to do even better. He soared and somersaulted, he dove head first, then spread his arms and legs and took up the perfect free-fall form. As the ground neared, he decided to do another head first dive. He put his arms by his sides and rolled his head slightly toward his chest until he was diving vertically toward the ground. Hurling toward the ground at over 150 miles per hour, that is how he hit, head first, his skull and body shattered nearly instantly, and death was both instant and inevitable. I would like to make a few observations about this second man’s performance. The consequences of the jumper’s actions were fixed and unchangeable. The only way to avoid the consequences would be to change course while there was still time. Finally, both jumpers had an inevitable appointment with the ground, and the outcome of that appointment was dependent on the choice they made about the necessity of wearing a parachute. Both skydivers had ultimate control over their ultimate fate, just as we have control over the outcome of our meeting with God on Judgment Day. But, you may ask, on what will we be judged on that day? Will it be on our good works? On all the good we did during our lives? Or will it be according to something else? We must understand that God is a Judge, and a Just One. And we will be judged according to our obedience to God’s Moral Law, The Ten commandments. So, let’s assume that this judgment will be today. How would we measure up? Let’s see. First, have you ever told a lie, even a little one? Then you are a liar, and guilty of breaking the ninth commandment. Have you ever stolen anything, even if the value was small? Then you are a thief, and guilty of breaking the eight commandment. Jesus said that if we look at another person with lust, then we have committed adultery in our heart. Have you ever done that? Then you are an adulterer, and guilty of breaking the seventh commandment. Ever used the name of God or of Jesus as a cuss word? If so, that makes you a blasphemer, and guilty of the third commandment. So, if you are guilty of even one of the commandments that we discussed, in God’s eyes, you are guilty of all, I am guilty of all. So, is there a need to go on? Just as the foolish jumper did not understand the seriousness of jumping from a plane without a parachute, many times, we do not understand the seriousness of our sin, nor the terrible consequences of our sin. But God, being a just Judge will punish all sinners in just the was the Bible describes. But John, the Bible teaches that God is a God of love, surely He will not punish me for the sins I have committed, or perhaps you will hold up all of the good things that you have done as expiating circumstances. Have you ever tried that in an earthly court of law? If you had robbed a bank, how likely do you think the judge would be to let you off if you showed him that you frequently feed the poor and help the orphans of your city? True, the judge may commend you for your goodness, but he will still sentence you to a just sentence for robbing a bank. And so it is with God. If you have committed sins, then there must be a punishment. That is a principle in earthly courts, and it holds true in the heavenly court as well. God does love you! In fact He loves you enough that He sent His Son, Jesus, to live a perfect, sinless life, and then to die on the cross as punishment for YOUR sins. Jesus committed no sin of His own, making Him eligible to die in your place, taking the punishment that is justly yours, allowing you go go free. If you will admit to God that you are a sinner, that you can’t make it on your own, and then repent, that is, turn away from your sins, and turn toward God, trusting in Jesus as the complete payment for your sins, then, just as Jesus was raised from the dead three days after His crucifixion, never to die again, , you also will be given the gift of eternal life as a free gift. I have recently discovered “Chick tracts” and thought I would share one, or maybe more, with you. This one, entitled, “This Was Your Life” shows how things might end up for you. Please take a moment and click on the link, and see what you think of the story. 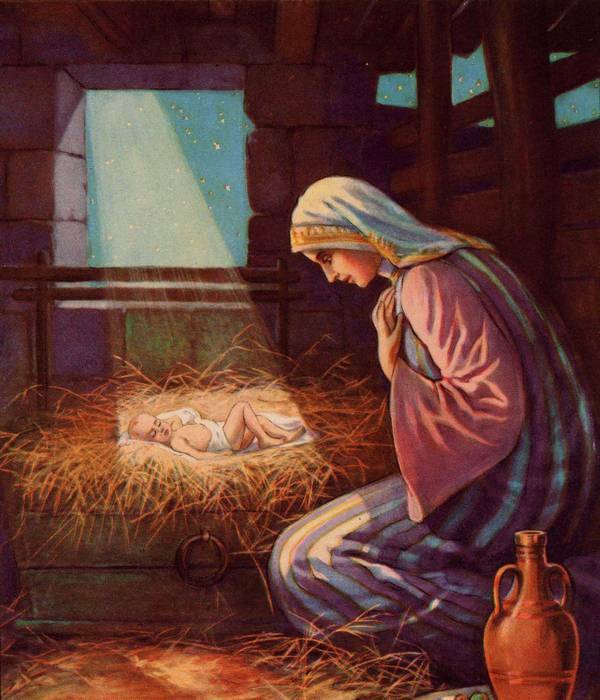 Why was Jesus born in a stable and placed in a manger? After all, Jesus, the Son of God, King of Kings, Lord of Lords, the very Word of God and Creator of All Things, deserves better, doesn’t He? If Jesus was born in a place befitting His place of power and glory, that place would have to be built for Him, because such a place did not even exist in the time of Christ. Indeed such a place has never existed. What Does God Say About Homosexual Acts? I am writing from the Old Testament book of Leviticus, chapter 18. I want to be clear, I am not trying to pick on any particular group of people, and since Leviticus 18 does not start with homosexual acts, I will not start there either. The chapter begins with God’s proclamation, “I Am The LORD”, and the warning not to walk in the ordinances of Egypt, from which He brought Israel out or of Canaan, the land to which He was leading them, but rather to walk in His statutes and to follow His judgments. So, what are His statutes? Well, for starters, we are not to uncover the nakedness of another person, if you want the complete list you can read verses 6-18. But rather than looking for loopholes, I would say that the safest course is to just not do it! Next, God warns against lying carnally with your neighbor’s wife. This would include the sins both of fornication and adultery. These are sins, and the one who take part in them defiles himself with them. God also warns against sacrificing children to Molech, a truly horrid practice whereby a child was placed into the hands of a metal idol that was heated to the point where it was glowing hot. And the people are warned that not only do they defile themselves by such acts (Do not defile yourselves with any of these things; for by all these the nations are defiled, which I am casting out before you. Leviticus 18:24) but the land itself is also defiled, therefore the LORD visits the punishment for their iniquity and the land vomits out its inhabitants. Could This Happen In Your Church? 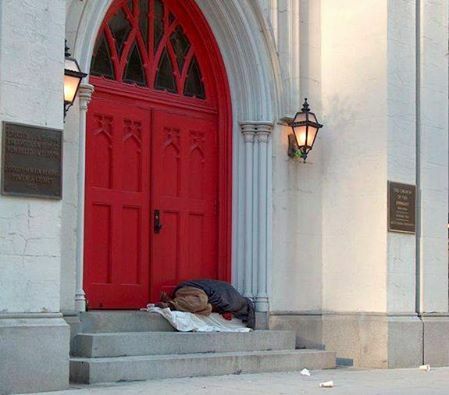 A pastor transformed himself into a homeless person and went to the church that he was to be introduced as the head pastor at that morning. He walked around his soon to be church for 30 minutes while it was filling with people for service. Only 3 people said hello to him, most looked the other way. He asked people for change to buy food because he was hungry. Not one gave him anything. He went into the sanctuary to sit down in the front of the church and was told by the ushers that he would need to get up and go sit n the back of the church. He said hello to people as they walked in but was greeted with cold stares and dirty looks from people looking down on him and judging him. He sat in the back of the church and listened to the church announcements for the week. He listened as new visitors were welcomed into the church that morning but no one acknowledged that he was new. He watched people around him continue to look his way with stares that said you are not welcome here. Then the elders of the church went to the podium to make the announcement. They said they were excited to introduce the new pastor of the church to the congregation. “We would like to introduce you to our new Pastor.” The congregation stood up and looked around clapping with joy and anticipation. The homeless man sitting in the back stood up and started walking down the aisle. That’s when all the clapping stopped and the church was silent. With all eyes on him….he walked up the altar and reached for the microphone. He stood there for a moment and then recited so elegantly, a verse from the bible…..
After he recited this, he introduced himself as their new pastor and told the congregation what he had experienced that morning. Many began to cry and bow their heads in shame. “Today I see a gathering of people here but I do not see a church of Jesus. The world has enough people that look the other way. What the world needs is disciples of Jesus that can follow this teachings and live as he did. When will YOU decide to become disciples? He then dismissed service until the following Sunday as his sermon had been given.